Reagan Stowers, 19 of Friona passed away Friday, February 1, 2019. Celebration of Life Services were held at 2:00 P.M. on Monday, February 4, 2019 at the First Baptist Church of Friona with Rev. Brett Hoyle, pastor, officiating. Burial followed in the Friona Cemetery by HANSARD FAMILY Funeral Home of Friona. Reagan was born August 8, 1999 in Hereford to Gary and Carolyn Taylor Stowers. He was a 2018 graduate of Friona High School. In all forms, Reagan was a cowboy and rancher. 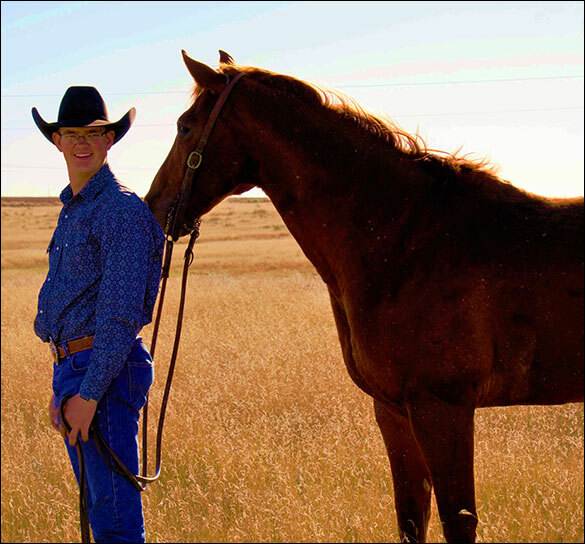 He loved being on horseback, working cattle and participating in team roping. He also loved camping and riding his motorcycle. Reagan was known as a quiet, gentle soul with a tender, caring heart. He is preceded in death by 1 brother-Aaron Stowers and 1 aunt-Penny Seiver. Those mourning Reagan’s loss include his parents of Friona, 2 brothers-Blake Stowers of Friona, Andrew Stowers and wife Emily of Amarillo, Nieces-Rylee and Layla Stowers, Grandparents, John and Sherri Taylor of Friona, Jackie and Peggy Stowers of Duncanville, Reagan’s Girlfriend-Kaylee Muse of Clovis, 1 uncle-Greg Stowers and wife Tessica of Hubbard, 1 aunt-Teresa Jack and husband Kelly of Idalou, cousins-Brad, Cole and Cody Stowers of Friona, Jared, and Tyler Jack of Idalou. Memorial services for Kenneth Wayne Gauntt, 74, of Larue, were held on Monday, February 4, 2019 at 10:00 AM at LaPoynor Church of Christ with Steve Gauntt officiating. Mr. Gauntt passed away January 31, 2019 in Tyler. He was born March 27, 1944 in Larue. He spent his career serving many capacities in education. He was a teacher at Dallas Christian High School and Cayuga High School, served as principal and superintendent at LaPoynor High School and principal at Bovina High School. He worked in accreditation with the Texas Education Agency and with Region IV Education Service Center. He was a dedicated member of LaPoynor Church of Christ where he served as an elder, bible class teacher and a song leader. He loved spending time in nature and was fortunate to still live on the same land he grew up on; mowing grass, piddling and tinkering. When he wasn’t at home, he enjoyed traveling all over the United States, but always avoided the interstate. Known as “Pa-Dad” to his grandchildren, he was loved and will be missed by all who knew him. 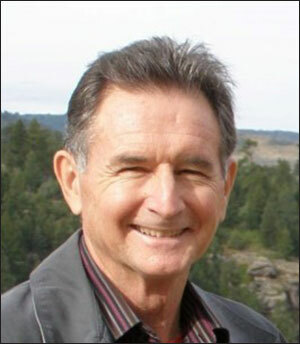 He is preceded in death by his parents, Otto Courtney Gauntt and Magdalena Annie (Gillert) Gauntt; brother Curtis Gauntt and sister Wanda Holder. Survivors include wife Joyce Gauntt of Larue; children, Jonathan Gauntt and Tiffany of Nacogdoches, Steve Gauntt and Angie of Plainview; grandchildren, Lori Gauntt, Ashley Gauntt, Austin Guantt and Luke Gauntt; sister-in-law Trudie Gauntt; brother-in-law Bill Holder and numerous nieces, nephews and cousins. Church Service for Hattie Moser, age 75, of Friona, Texas, is scheduled for 2:00 PM, Friday, February 8, 2019 at First Baptist Church in Friona with Brett Hoyle of Friona officiating. Burial will be in Muleshoe Memorial Park. Hattie died Tuesday, February 5, 2019 in Friona. She was born July 18, 1943 in Muleshoe, Texas to James Ulric and Raneta Odessa (Terrell) Dawson. She married Jack Thomas Moser in Muleshoe on November 25, 1964. Hattie was a homemaker and loved taking care of her family. For many years, she would babysit at her church. She was a member of the First Baptist Church in Friona. She is preceded in death by her parents and two sisters, Estelle McKinzie and Helen Krebbs. Hattie is survived by her husband, Jack; her son, Jeff Moser of Friona, Texas; her three daughters, Norma Norris and her husband, Tim of Amarillo, Texas, Carla Moser of Friona, Texas and Brenda Perry and her husband, Brandon of Lubbock, Texas; her sister, Alice Davis of Albuquerque, New Mexico; her brother, Jerry Dawson of Jackson, Tennessee; her two grandchildren, Tim Norris and Zach Sarver; and two great-grandchildren, Thomas Norris and James Norris. 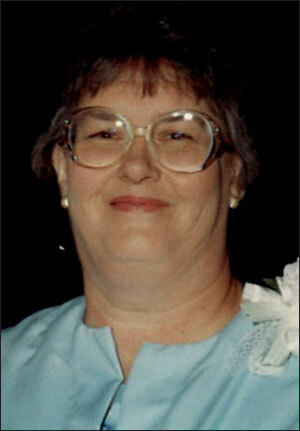 The family suggests memorials be sent to Bluebonnett Home Health, 304 East 11th Street, Friona, Texas, 79035. Online condolences may be made at www.ellisfuneralhomes.com.